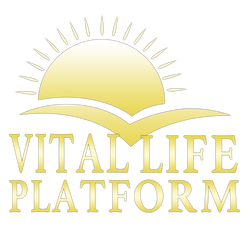 FAQ | Vital Life Foundation - Vital Life Platform | Better Than Ever! 1. What is an enzyme? Enzymes are the vital key to radiance, longevity and youth. According to Dr. Edward Howell, the Grandfather of Enzyme Therapy, an enzyme is a protein molecule with electricity running through it. Basically, an enzyme is a bio-catalyst that facilitates all bio-chemical reactions in our bodies, nature and life. Therefore, without enzymes life cannot exist. 2. Why take Multiple Digestive Enzymes? Even if someone were to eat all raw, living foods it is still wise to take enzymes every time we eat, especially if we want to live with radiant, vibrant, dynamic health. The organic produce across the United States is running enzyme and mineral deficient. Farmers are not doing as much crop rotation; they are harvesting produce too early, and then that same produce sits on shelves for weeks at a time all the while loosing it's enzyme potential. Unless you are growing all your own food and taking very good care of the soil, it is a great idea to take Multiple Digestive Enzymes every time you eat, in order to maximize the break-down of the nutrients in the food into micro-nutrients so the body can easily absorb and utilize it to build lean muscle, hair skin and bones, and re-manufacture metabolic enzymes and hormones. 3. How do I take Multiple Digestive Enzymes? Most people take about 5 with each meal to maximize the break-down of the nutrients in the food into micro-nutrients so the body can easily absorb and utilize it to build lean muscle, hair skin and bones, and re-manufacture metabolic enzymes and hormones. Depending on how enzyme deficient your body may be, will depend on how many you could take. Some people take in upwards of 10 with each meal. You may start out with 3 - 5 each time you eat, and if you don't really notice a difference, then you can increase by two are three enzymes until you find a happy medium. Precaution: If you notice you are going to the bathroom (#2) too much, or you have diarrhea then just back off a little bit until your bowels become regular. 4. Why do we use PuraDyme Products? This company was created by Lou Corona, Holist Health Educator, and has had a solid track record, with the BEST Enzymes & Probiotics on the market for the BEST prices that we can find. They haven't cut corners on their formulas and they DO NOT water down the products. This company caries Plant-Based, Full Spectrum, Medical Grade, Highly Active Enzymes and Probiotics. They also carry some other really incredible supplements to accelerate the cleansing and healing process. 5. How can I get some of the those Almonds? Anytime we are holding a class, whether it's an intro, workshop or food class we will have almonds on hand. 6. What are the different classes of enzymes? Food Enzymes - which are enzymes that exist within live foods. These enzymes help to break down the nutrients inside the food we eat. For example an avocado has lipase enzymes, among others, to break down the fats into fatty acids. A banana has amylase enzymes to break down carbohydrates into simple sugars. Digestive Enzymes - these are produces by our pancreas to assist in the break-down of the foods we eat in order to maximize the digestion of the micro-nutrients in the food. Metabolic Enzymes - these are the enzymes that run throughout our bodies in order to sustain our life. There are thousands of metabolic enzymes that assist every bio-chemical process in the body. There are enzymes to grow hair, blink, think, move the arm, grow skin and nails. Every function in the body requires enzymes. 7. How do I take PuraZyme? PuraZyme is four times more potent than the multiple digestive enzyme, LiyfZyme, and is designed to be taken on an empty stomach. The purpose of this enzyme blend is to go after the undigested carbohydrates, fats and proteins that have not been digested out of the system. These enzymes work throughout our entire system helping to get rid of mucoid plaguing and any stagnant energy in the body. Maintenance: Once you have cleaned out your bowels and cleaned your blood and you are feeling incredible, you can then take like 5 - 10 capsules 3 times a day for about 3 days just to clean out. 8. Can you take too many Enzymes? Yes. Just like anything there is a point where you can take too many. However if you do take too many you will just be going to the bathroom a lot more than you may want. When it comes to enzyme therapy, it's similar to driving a car; the more you push on the pedal the quicker you get to where you want to go. Well it's the same thing with enzymes - the more you take the quicker you are going to get where you want to be with your health. 9. Do I need to take enzymes forever? No. Just for this lifetime ;-) Anyone living in a city will tremendously benefit from enzymes and enzyme therapy. Our soil across the United States and many parts of the world is very enzyme and mineral deficient. Farmers are now doing less crop rotation, harvesting too early, and not really taking care of the soil like they use to. So until you have your own land and are growing your own food on mineral and enzyme rich soil, it's a great idea to take enzymes every time you eat to maximize the digestion of the food into its simpler nutrients for optimal absorption. 10. Does my body become dependent on Enzymes if I continue to take them? This is one of the most common misconceptions about enzymes. This is like saying if I keep breathing will I become dependent on air? Our bodies cannot live without enzymes. And because of our exposure to environmental toxins, as well as the denatured food we are limited to right now (especially living in a city), even if we are eating all raw, living foods it is vital to maintain a high enzyme potential within our body. Every bio-chemical function of the body requires enzymes. According to Dr. Edward Howell, "enzymes are the spark of life." Without enzymes we do not live. It's that simple. So the more enzyme rich we are the easier our bodies can metabolize and process the nutrients while properly rebuilding our organs and tissues and efficiently eliminating the toxins from the body. This is what allows us to run clean and efficient in order to maintain a high quality of life, with richness and youthfulness. 11. How do you make Almond Coconut Yogurt? 12. What is a Stomach Ulcer? A stomach ulcer (also called a peptic ulcer) is a small erosion (hole) in the gastrointestinal tract. The most common type, duodenal, occurs in the first 12 inches of small intestine beyond the stomach. Ulcers that form in the stomach are called gastric ulcers. An ulcer is not contagious or cancerous. Duodenal ulcers are almost always benign, while stomach ulcers may become malignant. Click here for more info.